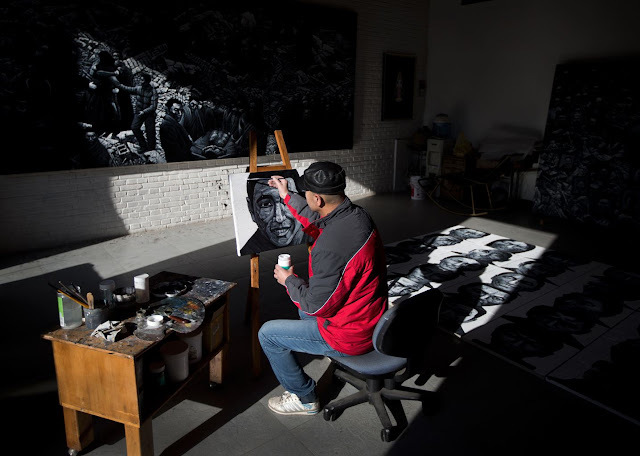 BEIJING (AP) — Beijing-based artist Liu Yi is working on a series of black-and-white portraits he knows will never be shown in a Chinese gallery. His varied subjects — men and women, young and old, smiling and pensive — have one thing in common: They areTibetans who have set themselves on fire to protest repressive Chinese rule. Liu wants to paint a portrait of each of the hundred-or-so Tibetans who have self-immolated over the past three years, as a way of bearing witness to one of the biggest waves of fiery protests in recent history. With each brushstroke, Liu is making a heartfelt plea: The burning must end. "When I'm painting, I'm thinking: 'Enough, enough, don't do this anymore. Stop,'" said the soft-spoken artist who has completed 40 so far. "That's enough." Liu is rare among his contemporaries for addressing the largely taboo topic. Only a tiny handful of activists from the Han Chinese majority have spoken out, among them the prominent legal scholar Xu Zhiyong. 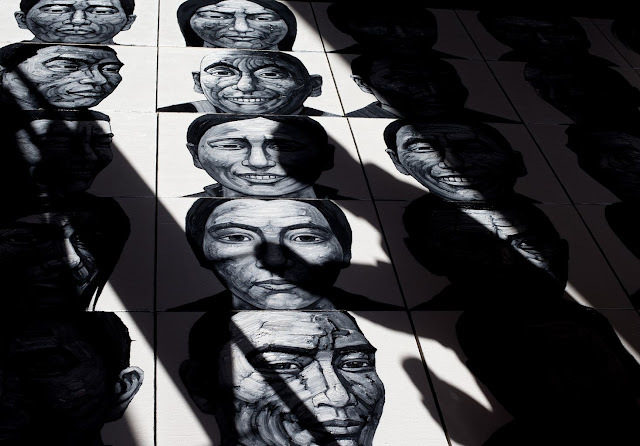 At the heart of the silence is Han Chinese indifference or even hostility to the Tibetan cause, despite some overlap with liberal Han activists who chafe at authoritarian controls. "We are victims ourselves," Xu wrote in a recent op-ed piece in which he apologized for the silence. Many among the majority see the immolations as part of attempts to break away from China and wonder why Tibetans aren't more grateful for government development of their region with rail links, expressways, houses and factories. Han Chinese also tend to see Tibet, with its breathtaking mountain grasslands and yak-rearing nomads, as a wild and unknowable region — but one that fascinates nonetheless. Year-round, Chinese tourists stream into a famous Tibetan Buddhist temple in Beijing to offer incense before snapping up cheap Tibetan jewelry or artifacts in the city's many stores. Although Han Chinese activists increasingly advocate the preservation of Tibet's pristine environment, most draw the line at political issues, staying mum as Tibetans drink gasoline and douse themselves with it before lighting themselves in calls for religious freedom and autonomy. Liu hopes to change that. 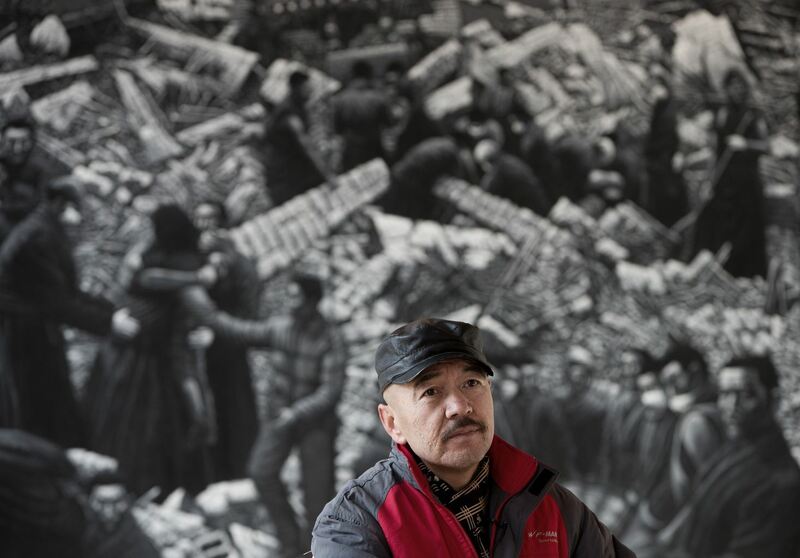 "I also hope that everyone won't look at it in an ideological or ethnic way, but to pay attention to it from a humanitarian perspective," he said. 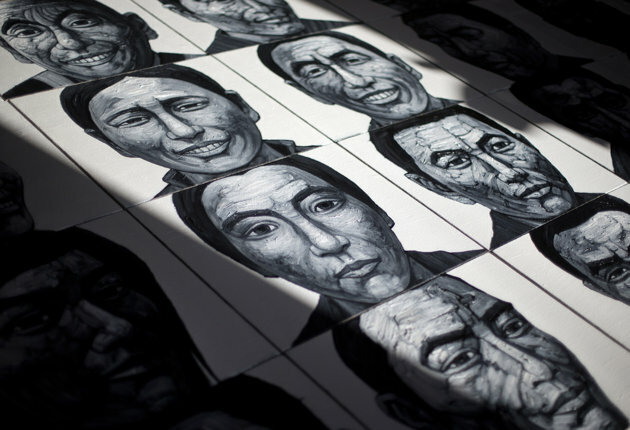 Liu chose to paint close-ups of his subject's faces, offering an intimate impression of their every wrinkle, crease, frown or smile, using thick brushstrokes in stark black and white. 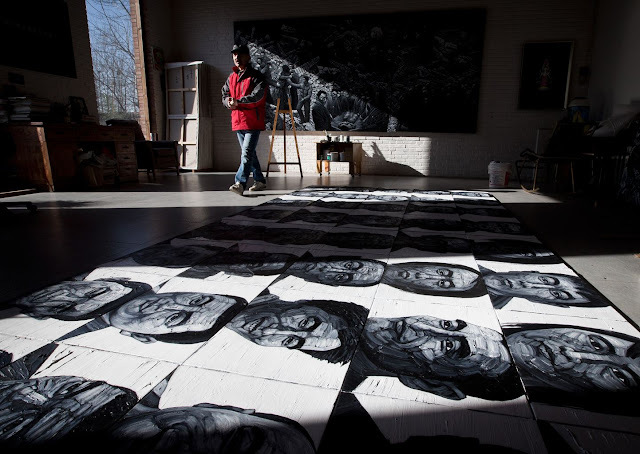 Many of the subjects are gazing straight at the viewer, creating an arresting effect, especially when the portraits are arranged as a single, large montage. 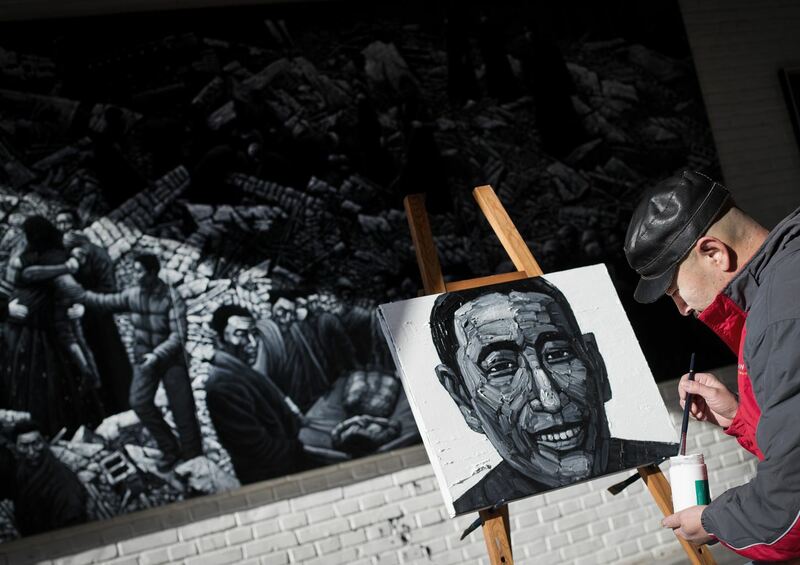 "You can see that many of them are very young," Liu said as he showed Associated Press reporters his paintings in a recent interview. 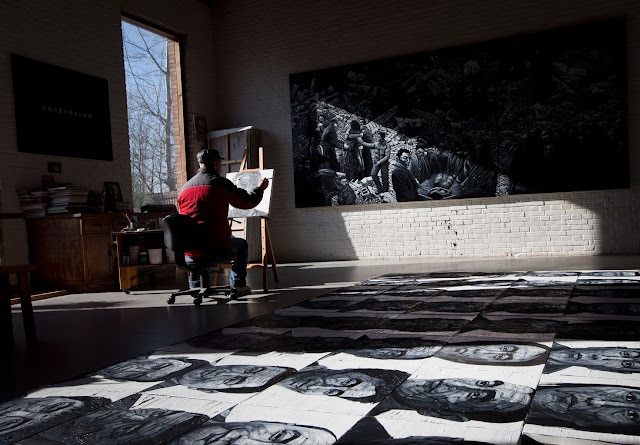 The works were laid out on the floor of his studio in five rows of eight portraits each. He pointed at two boyish-looking faces in the bottom row and said: "This one is 15, that one is 16." Tibetan poet and activist Woeser says the self-immolations "express a form of misery and are an outright protest." 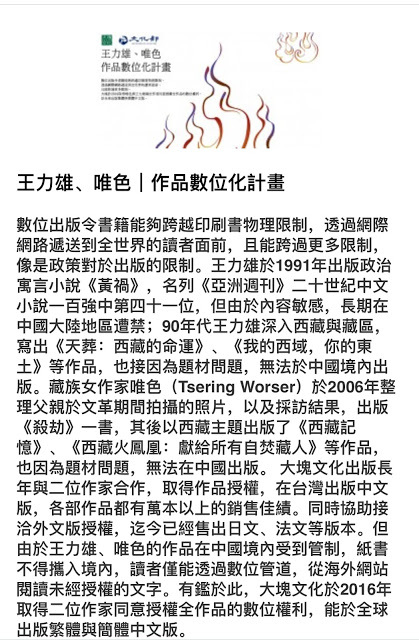 "A lot of Han intellectuals are not willing to accept political demands," Woeser, who goes by one name, said in an interview. "In their consciousness, Tibet is a part of China. They think, 'If you have political demands, maybe what you want is independence, and so on.'" Tibetan activists say the protests stem from frustration over China's stifling security presence, restrictions on religion and the demonization of their beloved spiritual leader, the Dalai Lama. China has said the Dalai Lama instigates the self-immolations to undermine Beijing's economic assistance to the region. The number of protests spiked in November as China's Communist Party held a conclave to install its next generation of leaders. "At this challenging time, not only do we need the international community's attention but also that of the Chinese society," Woeser said. "It is very important that Han intellectuals say something and make clear expressions about this problem." At a deeper level, she said, many Han feel alienated from the Tibetan way of life and its spiritual philosophy. "Tibetan and Han culture differs in that one is spiritual and the other is material. This difference is actually a gulf, it's hard to bridge," she said. 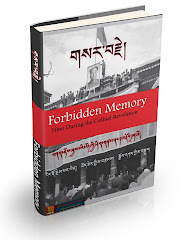 "A lot of Han people cannot believe how Tibetans would do things out of a spiritual desire, including setting themselves on fire." Among Hans who have taken up the cause are Beijing-based rights advocates Hu Jia and Liu Shasha, who have posted Twitter messages about the immolations, urging an end to repressive policies. Xu, the legal scholar, went a significantly riskier step further, attempting to visit the family of a self-immolator named Nangdrol in tightly controlled Aba prefecture in October. "I am sorry we Han Chinese have been silent as Nangdrol and his fellow Tibetans are dying for freedom," Xu wrote in the op-ed piece published by The New York Times last month. "We are victims ourselves, living in estrangement, infighting, hatred and destruction. We share this land. It's our shared home, our shared responsibility, our shared dream — and it will be our shared deliverance." 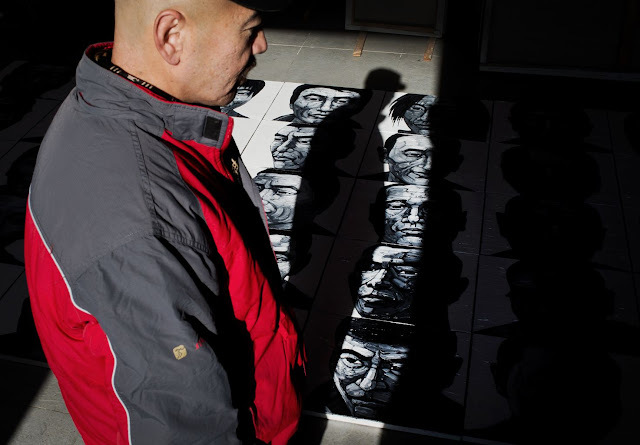 For the artist Liu, who is half Han, half Manchu and a follower of Tibetan Buddhism, there is a personal and spiritual element to his project. "When I'm painting them, I always feel that I am receiving blessings. I become gentler, kinder," Liu said of the portraits. "These people are not attacking other people, they are completely sacrificing themselves."